Will beef ban lead to a showdown between Sangh Parivar and BJP's ally Goa Forward? 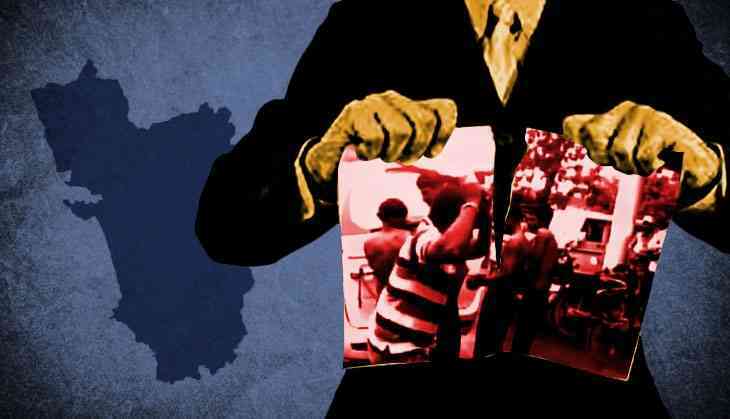 After having injected the venom of cow vigilantism to most parts of north and central India, which has led to several people being killed, Vishwa Hindu Parishad (VHP) has set its sight on the coastal state of Goa. Earlier on Sunday, senior VHP functionary Radha Krishna Manori claimed that the organisation, with support from Bajrang Dal and Durga Vahini, would ban cow slaughter and consumption of beef in Goa in next couple of years. While speaking at an event on the Ram Mandir issue, Manori went on to add that the organisation is capable of imposing such a ban even without the help of the government. Claiming his organisation to be strong enough to impose such a ban, the VHP functionary said that they will stop cow slaughter or even beef consumption in the state. Rebutting his claims, Vijai Sardesai of the Goa Forward Party (GFP), an ally of the BJP, pointed that individual liberty is not the matter of the state and the state government will protect such liberties as described by the Constitution. “The comments of VHP and its sister organisations taking law in their hands is strictly unconstitutional. Eating habits are the fundamental rights of the citizen and anybody who violates it would be dealt according to the law. Moreover, cow slaughter is banned in India and consumption of beef is different from cow slaughter. VHP should know the difference between the two,” said Sardesai, who is also the Town and Country Planning Minister in the Goa government. When asked about his meeting with the Goa chief minister Manohar Parrikar over this issue, he said that his party and the government are on the same page and that he spoke on behalf of the government. Speaking to Catch, Sardesai said, “Attempts are being made to destroy the secular fabric of Goa and there is no room for such sort of communal hatred in the state. If he is threatening us with his youth wing, he should know that we too have a cadre ready to take on such radical elements,” he added. Meanwhile, senior RSS leader Krishnaraj Sukerkar claimed that cow slaughter is on the rise in the state and bovines are sourced from Karnataka and Maharashtra for slaughter. He, however, claimed that because of the Portuguese influence in Goa, even Hindus don't consider beef as a taboo. “A sizable population eats beef in the state and RSS has only been demanding that the law banning cow slaughter should be enforced strictly,” he added. Catch also tried speaking to Aam Aadmi Party leader Ashutosh who claimed that he was not aware of any such incident. It seems that the AAP has given up on Goa after its disastrous performance in the recently held Assembly polls, where all its candidates, except one, lost their deposits. As far as Congress is concerned, none of its leaders were available for comment, which speaks volumes about the party's willingness to take on the BJP and its affiliates on such issues. However, it is not easy to not take these threats seriously considering that VHP, Bajrang Dal and Hindu Yuva Vahini are all part of the Sangh Parivar which has been consistently backing beef ban across the country. Sardesai cited a previous incident wherein the Parrikar government had banned Hindu Sena leader Pramod Muthalik from coming to Goa. Even Parrikar would be cautious to let these fringe elements destroy the secular fabric of the coastal state which is yet to recover from how BJP managed to form the government despite being the second largest party. BJP cannot ill-afford to create a situation wherein its own government could lose key ally like GFP that have put aside their anti-BJP stand to join hands with the saffron party on the issue of development. Amid all this, GFP, despite being in government, has managed to maintain its stand of opposing any attack on the food habits and culture of the state which has further strengthened its position in the state. “Any attempts to attack the uniqueness of Goa would not be take for granted and it was reassuring that the chief minister also thinks that such elements would be dealt sternly according to the law of the land,” concluded Sardesai. TWEET THIS VHP wants beef ban in Goa. BJP ally Goa Forward vows to resist any such attempts Will beef ban lead to a showdown between Sangh Parivar and BJP's ally Goa Forward?